Do you have property you'd like to sell or let within the Cardiff area? Are you searching around for a local lettings service? 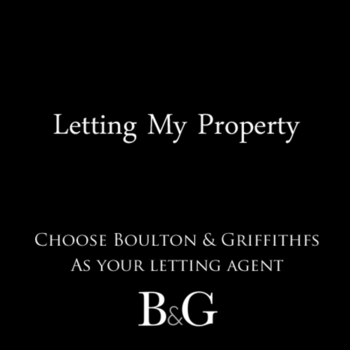 As a letting and estate agency, Boulton & Griffiths specialises in the selling and renting of property in Cardiff and the surrounding areas. Selling and letting property is not an easy process in anyone's eyes. First you need to be able to advertise your property on all the right portals, from Zoopla to Rightmove. You also need to be able to market it effectively and attract as wide an audience of potential buyers/renters as possible. Do you feel you need some advice and support? Look to Boulton & Griffiths. Whether you are buying, selling, renting or letting, our experienced property professionals can provide the service you need at every stage of the process. As an independent family business and a fully-accredited agency we offer a personal but professional service to each and every client. We're always committed to the task at hand, and to making sure you receive the advice and support you need, when you need it most.